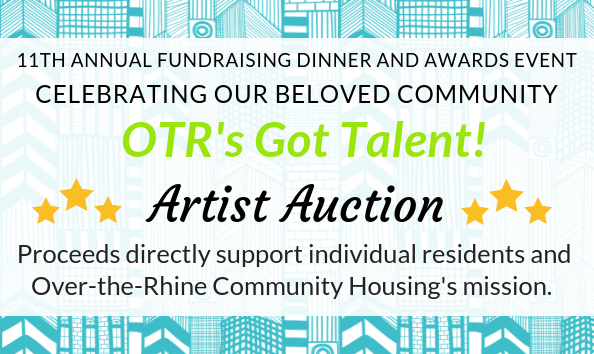 Over-the-Rhine Community Housing presents Celebrating Our Beloved Community: OTR’s Got Talent! Thank you for joining us for our 11th annual fundraising and awards dinner honoring the many varied voices that make up our beloved community. You can directly support OTRCH residents and our organization's mission by bidding on silent auction items. These pieces were created and donated by artistically-gifted OTRCH residents. We will split the proceeds from this auction between OTRCH and the artist, 50/50.